Immunity is the state of having sufficient biological defenses to avoid infection, disease, or other unwanted biological invasion.It is the capability of the body to resist harmful microorganisms or viruses from entering it. Immunity involves both specific and nonspecific components. The nonspecific components act either as barriers or as eliminators of wide range of pathogens irrespective of antigenic specificity. Other components of the immune system adapt themselves to each new disease encountered and are able to generate pathogen-specific immunity. 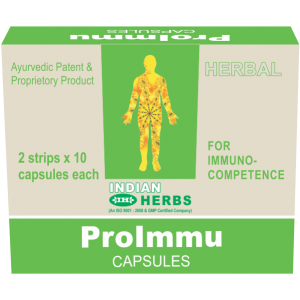 Indian herbs introduce ProImmu, prepared from standardised extracts of selected herbs is a scientifically proven Immune-Potentiator and Immuno-Protective. 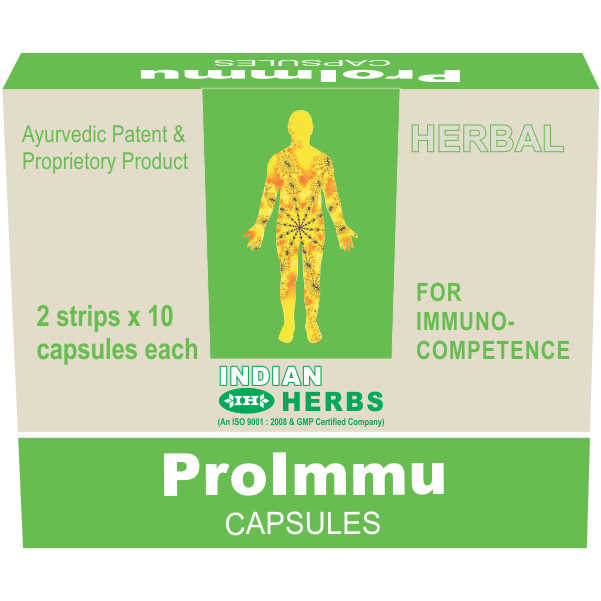 It potentiates both cellular and humoral components of the immune system as well as non-specific body resistance.